I know this is amazing, but statistics do not lie. But you are in good company! gatesnotes | 6 Books I Recommended for TED 2015! Someones having trouble admitting that they believe in a flat earth by their lonesome. No one ever lies silly. Perhaps Environmental forcing and fear to be Excommunication by Science environment. 1- the total number of search results can be reduced. then some results are extracted from the statistical database over time. this is an effect that weakens the reliability of the statistic. 3- Two significant increase about the interest to judaism and flat earth. The search on judaism increased 27% in 5 month and the search of flat earth increased 40% in same period. The international interest to flat eart still is increasing and this increase rate is still more than all other beliefs. (40% > 27%). However, the rate of increase, ie, the rate of acceleration is decreasing; this is a remarkable point. Of course, these statistics are constantly changing and everything can accelerate or slow down. it is really hard to foresee it. but the statistical work here gives us an idea of the how things go. as a result the believers of flat earth is still the fastest growing belief, and our census is increasing rapidly. This is the whole point. you still don't have an accurate map and you still can't agree among yourselves on why things fall down. But just face the unpleasant fact (for the flat earth). Islam 474.000.000, محمد. 655.000.000 محمد. Your figures are totally meaningless because, especially recently, many of those searching flat earth topics are now by people such as myself seeking to debunk your silly ideas. Look at these sites that I found d with a simple search, all containing "flat earth", but aiming at debunking the flat earth. So stop trying to fool us with your silly ideas. PS I could not care less if I'm on your childisu ignore list! Of course Statistics don't lie. Every scientists on the globe would have argued against statistics by now. There is overwhelming evidence that statistics work for at least 2300 years. We cannot argue with a small group of ''illiterates'' that argue againts the well proven, measurable reliable results of statistics. All the math, algorithms, interviews and knowledge is well known and archived. I don't personally know any flat earth believers. However, I do know at least five people who have googled it and read a few forums on the subject. How would that figure into the analysis? Considering at least 95% of membership here are not FE believers, I think your data is corrupt. I see that your reading comprehension is as sharp as ever. 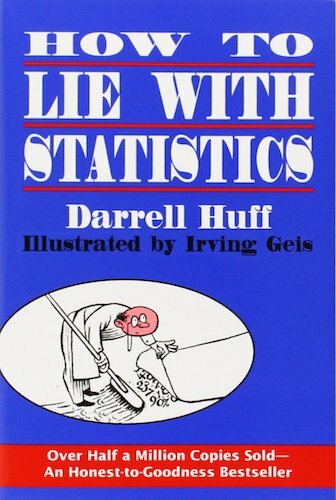 The title is How to Lie With Statistics. It's quite common to present perfectly valid statistics in a misleading way. Which sounds better to you: a 5% chance of winning or a 95% chance of losing? Or, better yet, 50% chance of winning or a 50% chance of losing? Anyone with an average intelligence or above who looks into the Heliocentric Model will be able to see it is false . Once you have seen flat there is no going back ! There are so many factors omitted from this. -What countries are used for the data? We know not all countries are counted in search data do to restrictions from various governments. -What percentage of those religions have branches that preach their bible as literal? This is a much smaller number than the whole. -How many of those searches are just people that are curious or looking for info on flat earth yet dont think its flat? Without a doubt most searches are from curious people. -How many of those searches are multiples from the same person searching? -What are the percentage breakdowns of each religions different branches that believe different things? We know that the Catholics alone make up almost 1.3 billion of the Christians and the majority of them dont preach or believe in flat earth and thats just one of the major religions. Most flat earth believers in the US tend to be Baptist and Lutheran creationists which are the ones that preach the bible as literal. -It seems like most outspoken flat earth promoters on youtube and the net seem to be from three major countries. The US,Great Britain,Australia. Whats the breakdown of that based on the other factors? This is just another guess that doesnt count many factors. To find out a world wide percentage of flat earth would have to based on more than this and include so many more factors. Not to long ago a petition was started in the US by flat earthers demanding an apology from Neal Degrasse Tyson for all the alleged “lies he has told about NASA and the shape of the Earth.” After 90 days it only had about 1,000 people. Yet the petition to get Justin Bieber deported got 275,000 lol. I would bet that most flat earthers are in the major westernized countries and the numbers would not add up to 30 million. Its more than likely in the several million range for true FE believers. Even if we double that its still only 15ish million. Lets say that it is 30 million, That would only be 0.4% of the world population. So still a microscopic amount from 7.5 billion. While everything you just said is true, it's important to note that nothing in the original post comes anywhere near "perfectly valid statistics". This isn't a case of using real statistics in a misleading way. This is an example of using flawed methodology, baseless assumptions, and laughable analysis to yield a "conclusion" that he was intending to get from the beginning. And while I know you and the other rational people know this, the other people need to understand that just using numbers doesn't automatically make something statistical in nature. While true, it's not even relevant here. Intikham is assuming FAR too much in terms of the relationship between those searching and those who believe in something. Instead of looking at Judaism and going "Hmm, there might be issues with using the data in this manner" he simply decides it's a lower bounds. Correlation/causation, etc. Anyone with a below* average intelligence or less* who looks into the Heliocentric Model will be able to see it is false . I was responding only to dutchy's comment about statistics not lying, not the OP. BTW, did you know that 73% of all statistics are just made up on the spot? Oh, I know you understand what's going on. I just didn't want some of the other people around interpreting your post as somehow validating his "statistics". as you are a FEIB and you than think you have in your mind an over average intelligence, the intelligence that you refer as average is on the level of a fungus. thats the problem with unintelligent people, they do not know that they are unintelligent. Drs. Dunning and Kruger should really visit this place. It is a virtual treasure trove of research opportunity. Intikam can't do statistics. He types search word in google and thinks that the number which google gives back is number of believers of corresponding faith/religion. Should we buy him a copy? 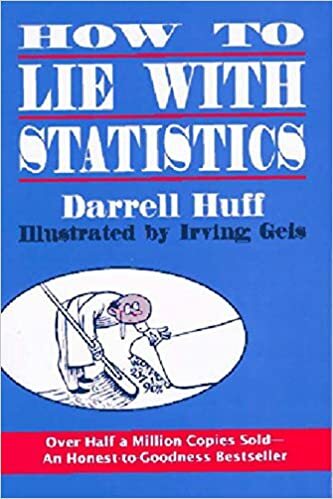 How to Lie with Statistics Reissue Edition, by Darrell Huff (Author), Irving Geis (Illustrator) Paperback $7.79 He might do a more convincing job then. Why not, I am ready do donate a dollar or couple. It is worse. For statistics you get relevant data and then interpret it. Inticam gets irrelevant data and interprets it. What you said is so wrong that I can't even answer to that. Good job. I have explained the mentality of this working in another study before, but as far as I see it is also needed here. some understand, but some unable to understand. This is for somebody whoever don't understand why is the method has enough reliability. many methods can be used in the research. each method has its advantages and disadvantages. even in the "face to face" method, which is one of the most expensive methods. a person can be withdrawn its real idea, misrepresented, or afraid of something. for example, a religion research was conducted in turkey. And then another research was done. According to the results of two researches, 60% of the atheists in turkey are believed in God. this is the most reliable method of research and a complete nonsence! do a research now and ask them if they love Erdogan. 60-70 percent will say they like. Be sure 90% of them do not like him! According to official records of the country 98% Islamic religion. I just opened a poll in the dictionary and asked for belief in 2 months ago.One of 3 was atheists. So what is the official survey, says 98 of people is islamic; is nonsence! the whole of the world is in same situation. Actually atheists in the world are more and more than estimated, but they say they are Muslim or Christian when you ask. this method is based on the preferences people make with their free will. and more reliable than all others. If there is something to care about, there is a possibility of being attached to it. If you are affected by a girl, is there any chance you might like her? If you liked a girl, you might be in love with her. and this is a possibility. you can research a lot of people and get the result like this. how many people are starting to like a girl who is influenced. and how many people fall in love with a girl he likes. If you find it, then you are likely to find out how many people will be in love with someone who is affected by a girl. There is a similar situation in religion. If there is curiosity against a religion, then there is the possibility of binding to that religion. If a person is constantly searching for Jesus in the internet, he will probably start to love him after a while. Likewise, if a person is constantly searching for Islam, he is likely to be a Muslim. of course, and a possibility vice versa. but if you investigate such a million cases, you will have a statistically significant result. I kept the error rate high because I did not trust the google site. If I find out the result of 40 million believers, that means it can more than 10 millions and less than 70 millions. but most likely there are 40 million believers. When I do research with different methods, I found similar results. you can try it on different things too. for example, 2 out of every 3 people who believe in the flat earth, at the same time know the flat earth society. If you look at the situation here, you can ask "where are these people" question. They afraid! they come and go quietly because they fear being accused. this is real! this method useful on the "free election based determination" and the "crypto" beliefs are also useful. for example, the "number of Jews", the only weak point in this research, is actually misplaced in the world. because the "crypto" in the Jews is too much. so the number of search on judaism seems like too high, incompatible with known numbers. because the Jews will say that they are a minority in many countries, and that they say Muslim or Christian when you ask. but when they enter the internet, they are searching for judaism more than everything. I regarded it as a research error before I was interested in the crypto part. in fact, this research is unique in revealing hidden beliefs. simple and effective. but I did not spend as much time on this research as I did for senseless objections. See this discussion, not simple and not effective, even and even waste of time. But this research isin't.